Premium lens implants are used to replace the eyes’ natural lens in cataract surgery. The majority of Intraocular Lens (IOL) implants are Standard Monofocal IOLs, which are fully covered by most patients’ insurance. These implants have a single focal length, providing clearest vision at a set distance, but require glasses for all other distances. Most patients elect to have far distance vision correction, allowing clear unaided vision or a minimal prescription for the correction of astigmatism, for activities such as driving, golf and television viewing. However, many of these patients generally require eyeglasses for near tasks such as computer activities or reading. A lot of people are quite accustomed to this type of vision prior to surgery, as reading glasses become necessary as presbyopia develops after the age of 40. However, if near vision and near visual tasks are more important, implants can provide excellent near vision, thus requiring glasses for distance vision. This is ultimately a personal decision depending on individual lifestyle considerations. Advanced intraocular lens options, although not covered by the patient’s insurance, allow patients to opt for an upgrade in implant technology. Indeed, while many patients are quite happy with the vision provided by standard monofocal implants, many patients are interested in a surgical option that provides excellent unaided vision at both distance and near, or an option that provides correction of a preexisting surgical astigmatism. This describes the use of implants with one eye focused at distance and the other at near. This can be provided with standard monofocal lens implants, implants correcting for astigmatism known as toric implants, or the Crystalens implants. Usually, monovision is recommended for those patient’s who have had comfortable and effective monovision prior to cataract surgery using their contact lenses. Although monovision leads to a small decrease in depth perception, it is a very good surgical option. Some patients, however, are uncomfortable with this arrangement due to the imbalance between the eyes, and further surgery may be needed to cure this problem. The Acrysof IQ Toric implant corrects both cataracts and astigmatisms, providing patients with the opportunity to be completely glasses free for distance vision. Astigmatism is a common vision problem which hampers the ability for people to see fine detail and it is caused by an irregular curvature of the cornea. At surgery, your surgeon will align the specific axis of the Acrysof IQ Toric IOL with the astigmatism measured on your cornea on the pre-operative testing. In our experience, this will provide correction of more than 90% of pre-existing astigmatism, even in patients with very high pre-operative astigmatism. Rarely, a post-operative touch-up might be provided to fully correct any residual astigmatism. Astigmatism is an eyesight problem mainly caused by the incorrect curvature of the cornea. With astigmatism, the cornea is slightly oval in shape instead of being spherical. The Tecnis Symfony IOL is the first intraocular lens approved for presbyopia correction and for use in the treatment of cataracts. This newly approved family of IOLs offers brand new optical technology, designed to provide clear near vision without impacting distance vision. 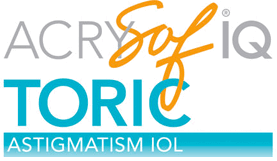 The Tecnis Symfony IOL has proven to yield low instances of halo and glare, which are two frequent side effects common to multifocal lenses. This revolutionary technology allows our eye surgeons at Stahl EyeCare Experts to correct both presbyopia and cataracts during one quick surgery. This implant focuses a series of concentric ridges on the lens surface. In clinical studies, 80% of patients receiving the Restor implant reported that they never wear glasses for any activities, and 94% said they would have the IOL implanted again if given the choice. However, glare and halos around lights at night are a concern with some patients and are reported to be significantly bothersome by about 5% of patients. This may lead to the implant being exchanged for a monofocal implant. However, following an adjustment period of several weeks to months, while the brain learns to function with the implant, most patients report complete comfort with their vision within six to twelve weeks. This is another multifocal implant that allows patients to see clearly at near, intermediate and far distances without glasses in all light conditions. The Tecnis multifocal lens implant is designed for near vision at approximately 13 inches, and provides excellent distance vision. Like the Restor implant, some patients implanted with the Tecnis multifocal implant complain of some halos and glare from lights at night. Once again, less than 5% of patients are hampered by this phenomenon. The doctors at Stahl Eyecare Experts were the first to implant the Eyeonics Crystalens implant on Long Island several years ago. Small flexible hinges within the implant allow it to shift forward to provide near focus. Although patient’s implanted with the Crystalens do not have as good near vision as patients implanted with the multifocal lens implants, there is no concern with disabling night vision, glare or halo, with the Crystalens. 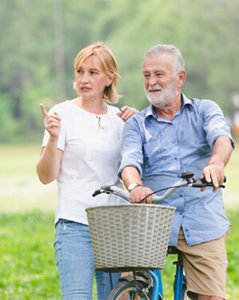 In our experience, most patients with the Crystalens implant have excellent mid-range and computer vision, however, they need reading glasses for near and very small print and near vision tasks. Crystalens has, in our experience, has been an excellent implant for monovision for those patient wishing to use monovision, as well as those patients needing cataract surgery when there is a previous history of LASIK, laser vision correction. Choosing an intraocular lens for your cataract surgery, or a refractive lensectomy, may seem a little overwhelming. In addition to individual desires and needs, the overall health of the eye must be considered. In general, multifocal lens implants are not recommended in patients with significant ocular pathology, other than cataracts. Patients with a retinal or macular disease, in particular, may fail to benefit from multifocal technology. In addition, patients with an irregular cornea, or significant ocular dryness also may not benefit from this technology. Only your ophthalmologist at Stahl can determine whether you are a candidate for a multifocal IOL, after performing a thorough eye examination. Contact us for an appointment. For the patients interested in an IOL upgrade, financing is always available through our CareCredit program.